Artspace111 is pleased to announce an open call for submissions for the 6th Annual Artspace111 Regional Juried Exhibition, juried by Hilde Nelson, the Curatorial Assistant for Contemporary Art at the Dallas Museum of Art. The competition includes eligibility for 2D and 3D artwork. The exhibition will be open June 22nd through July 20th with an opening reception on the evening of June 22nd. The due date for entries is May 26th. Contemporary 2D and 3D works that follow the requirements detailed in the prospectus are eligible for acceptance, artwork selected by the juror from the eligible submissions will be included in the exhibition at Artspace111 and are eligible for awards. 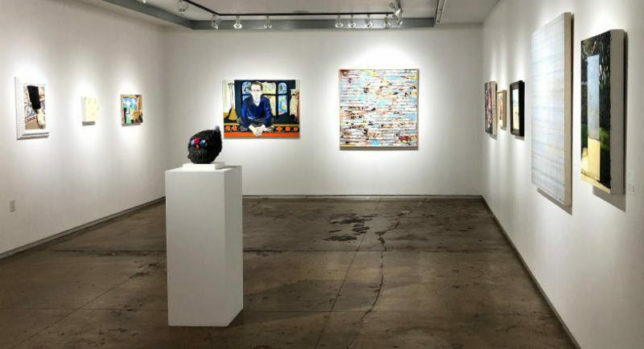 Over $4000 will be awarded to the best works in the show, and the first prize will include the opportunity to exhibit at Artspace111 in a separate solo or group exhibition in 2019 – 2020. Hilde Nelson is the Curatorial Assistant for Contemporary Art at the Dallas Museum of Art. Her work primarily concerns contemporary art at the intersection of memory, belonging, and political visibility. She has contributed to publications and exhibitions for solo presentations of Günther Förg and Jonas Wood, as well as the recent exhibition America Will Be! : Surveying the Contemporary Landscape, an installation of the museum’s permanent contemporary collection. Before joining the DMA in 2018, Nelson held positions at Creative Time in New York; Julius Caesar Gallery in Chicago; and the Williams College Museum of Art in Williamstown, MA, where she curated the exhibition Bodies of Substance and Shadow in 2016. She received her MA in the History of Art from the Williams College Graduate Program in 2017. Along with a $1,000 cash award, the top prize for the juried exhibition grants the artist inclusion in a solo or group exhibition in the following year. Artspace111 recently closed an excellent solo exhibition for the winner of the 2018 juried exhibition, Jeffrey Poole. You can read two excellent articles in Glasstire and the Fort Worth Weekly about the exhibition.